A Northwest Permanente protocol on pediatric opiate use led to an overall six-fold reduction in opioid use in young children after tonsillectomies in six Kaiser Permanente regions from 2012 to 2018. Many opiate addictions start in childhood or teenage years, but pediatric opiate use reduction and prevention have not received as much attention as their adult counterparts. At this year’s 2019 AMGA Annual Conference, which takes place March 27-30 in National Harbor, Maryland, I’m thrilled to present with Anna Grosz, MD, our journey on reducing opiate prescribing for our children in all of our Kaiser Permanente regions. Starting with Kaiser Permanente Northwest (KPNW) in 2012, spearheaded by our Northwest Permanente (NWP) head and neck surgeons, the scale, spread, and adoption of the protocol has led to an overall six-fold reduction in opioid use in young children after tonsillectomies in six Kaiser Permanente regions through 2018. The Permanente Medical Groups are composed of eight independent companies, working within more than a dozen instances of our own customized electronic health record (EHR). We are geographically separated and spread out across our own health care teams in many facilities and medical centers. We will share the various tactics and tools used to spread and scale the work across the diverse Permanente nation of surgeons and physicians and Kaiser Permanente health care teams across the country. Starting in 2012, the FDA released black box warnings against the use of codeine after tonsillectomies in children. While other systems have primarily substituted codeine with other opiates, NWP head and neck surgeons responded by working to eliminate opiate usage after tonsillectomies entirely. Our surgeons collaborated to create a standardized protocol for all pediatric tonsillectomy patients using ibuprofen and acetaminophen for postoperative pain management. Ambulatory and operating room nurses, informatics team members, and pharmacists all assisted with design and implementation. Within 18 months of protocol implementation, the overall opioid usage after tonsillectomies declined from 82 percent to 15 percent. We expanded and shared the work with general pediatrics and joined the efforts that had already been underway in all our surgical specialties to reduce opiate use. 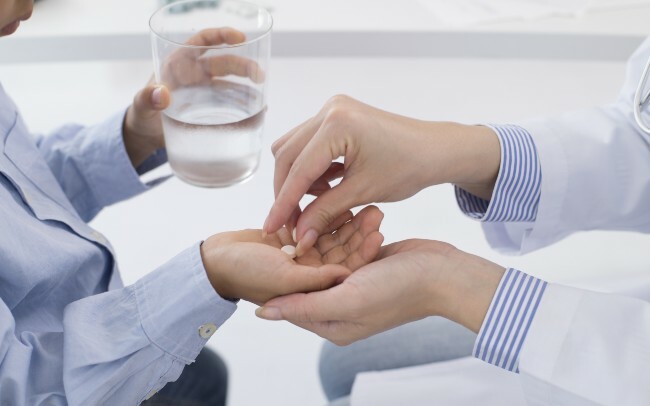 By breaking down departmental silos in protocol development, Northwest Permanente physicians implemented codeine restrictions for general pediatrics four months prior to guidance released by the FDA for further codeine and tramadol restriction. At the 2019 AMGA Annual Conference, we will share an innovative example of how to break down silos and spread best practices in complex organizations like Kaiser Permanente. To enhance and simplify spread beyond KPNW, we assembled a KPNW protocol “playbook” to share with other Permanente Head and Neck Surgery chiefs in the other Kaiser Permanente regions. Specific tools in the playbook include EHR order sets, smart groups, restriction locators, alternative alerts, and patient instructions. NWP’s Head and Neck Surgery also provided support and consultation to aid implementation. Collaborations via inter-Permanente Medical Group Head and Neck Surgery Chiefs, inter-departmental work groups within Kaiser Permanente, regional sponsors, learning coalitions, and support by The Permanente Federation were critical to facilitate spread of the protocols. We measured success of the program by monitoring the degree of reduction in pediatric opioid prescriptions with no increase in complications. We also tracked and monitored return to care after a tonsillectomy— whether to the medical office, urgent care, or emergency department. Feedback from parents has been regularly incorporated into the work as it has evolved over time. While it began with pediatric tonsillectomies, the KPNW program has been a catalyst for much of the work to reduce and prevent overall pediatric opiate use and prescribing in our Northwest region. Spearheaded by passionate, persistent, gritty Head and Neck Surgery leaders like Dr. Grosz and our partners, this program spread through inter-Permanente chief’s group to other similar departments across Kaiser Permanente regions. At the 2019 AMGA Annual Conference, we will share an innovative example of how to break down silos and spread best practices in complex organizations like Kaiser Permanente. I’m thrilled to share our journey at this year’s AMGA Annual Conference — a representation of what empowered physician-led innovation and care can accomplish in a large organization. 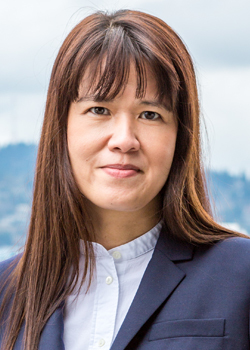 Imelda Dacones, MD, is president and CEO of Northwest Permanente, which provides care to more than 600,000 Kaiser Permanente members in Oregon and South Washington state. This column was originally published on LinkedIn.